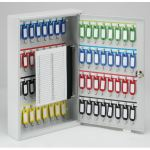 Sometimes a huge commercial key cabinet just isn't something you need. 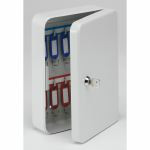 So if you're looking for a simple cabinet to secure your keys in, we have a fantastic range to choose from here at AC Leigh. 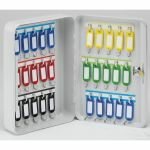 It's an excellent way of storing a bunch of keys, so you won't have to worry about trying to find them under your bed or among the clutter on your desk! 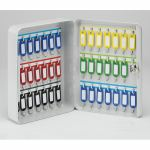 The majority of these budget key cabinets operate on a key lock, meaning you only have to remember where you left one key! 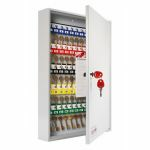 Key cabinets are perfect for commercial use as well as in domestic environments. 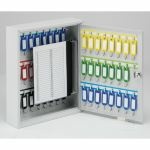 Take extra attention on what key capacity you require when deciding to purchase a budget key cabinet. 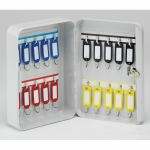 We even supply padlock cabinets that will be a great addition to your budget key cabinet collection!